I really like my winter boots… only, there is really no room to fit my orthotics comfortably, and I’m a big-time pronator. I have weak ankles and was never really good at skateboarding or ice skating. I wear out my shoes from the insides. And I destroy my boots from the outside seam. My arches fall flat, which requires me to bid adieu to many a favorite pair of shoes. It’s time to face the facts: I need shoes designed for overpronation! While you may not be able to change the foot you were born with, podiatrists say shoe change is the most effective treatment for pronation. What Qualities Should a Pronator’s Shoe Have? – Can fit custom orthotics. Men’s Fitness recommends the Mizuno Wave Alchemy 12 trainer for overpronators. This lightweight shoe offers “a flat midsole, high support, and wider base,” according to the magazine. I’ve never found relief from Nike, but if you like the brand’s fit, you should check out their stability shoes to help with your pronation. The best walking / running shoe I’ve found are Asics. The Asics Gel Blur-33 specifically had the roomiest toe box and comfiest fit. They withstood a year of daily walking with very minimal wear and tear. My feet have never felt better! The Asics Gel Blur-33 is a great shoe for pronators. 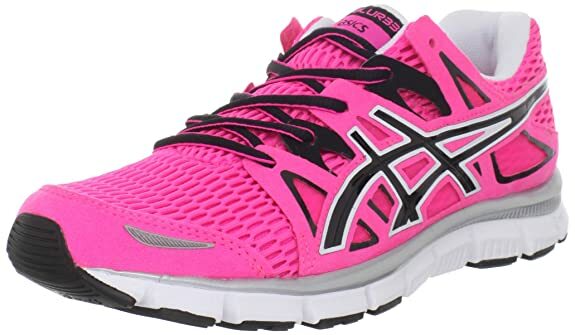 Asics Gel-Kayano and Asics Gel-Forte are the best shoes to support severe pronation, according to the manufacturer. New Balance is another brand known for their selection of shoes for overpronation, according to Tennis Express. They recommend the New Balance 804s, 1187, 1005, Babolat Propulse 3, and Prince Scream 3. These shoes are built with stability devices in the midsole to minimize rearfoot movement, while also providing optimal midfoot and heel support. Even though I love my Asics, I think it’s safe to say I’d still be suffering from chronic arch, ankle, and lower back pain if I didn’t see a New York podiatrist for help. Custom-molded orthotic inserts were the ticket to pain-free walking for me. They cost about $300 to make, but my insurance covered half of this. Within a week, the terrible pain I had been experiencing simply vanished. My shoes are lasting much longer, now that I’m not wearing down the inside soles as much. Finally, I have a normal wear-pattern just like everybody else! Next to contact lenses, I’d say custom orthotic insoles were the best choice I ever made. Need Help Shopping for Shoes to Treat Pronation? The experts at The Center for Podiatric Care and Sports Medicine in New York City can help you with custom orthotic inserts and also advise you on choosing the right shoe type for your individual foot. Fill out this contact form to schedule an appointment. » When Food Works Against You: Is Your Diet Giving You Gout?